Access methods include touch screen, switch and eye gaze. Ian Bean is a former teacher and ICT coordinator at Priory Woods School, Inclusive Technology’s Consultancy and Training Manager now Independent Special Needs ICT consultant and trainer specialising in the use of ICT and assistive technology to support learners of all ages with severe and complex additional needs. HelpKidzLearn – the home of accessible software, enabling children of all abilities to play, develop and achieve. Mostly subscription based but there are a few free activities too. This is a Helpkidzlearn subsite we subscribe to in school to Create, edit and play personalised learning materials used in the classroom and with individual students securely online and then download them to our iPads or Android tablet on the free CM3 app. We can share the activities we have created with parents/ carers to play at home and/or you can subscribe to it yourselves. 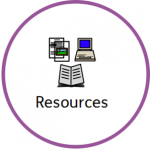 Inclusive Technology – a good, wide selection of software and hardware for people with special needs, including apple and android apps – some of which are free. Smartbox – Assistive technology devices and software.